(abs, pdf) Leite et al., Do Cosmic Rays Heat the Early Intergalactic Medium? Today, Daegene Koh successfully defended his PhD thesis! Congratulations! He is the first PhD student to defend out of my group. 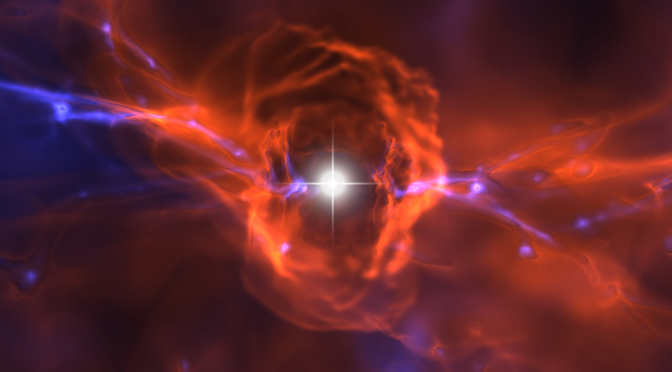 He’s written two papers so far on the growth of magnetic fields around the first stars (arXiv) and extending reionization models to include the first stars and first galaxies (arXiv). He’ll be starting at KIPAC at Stanford University in the Fall as a postdoctoral researcher.